Do you want to simplify your busy schedule? 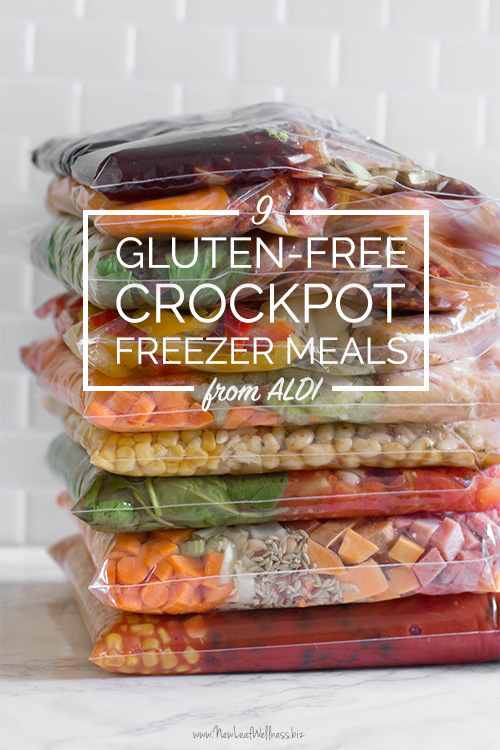 Stock your freezer with crockpot freezer meals from ALDI! Here are 11 ALDI freezer meal plans with free recipes and shopping lists (I made seven myself and loved them!). What’s so great about these freezer meals from ALDI? The recipes are healthy. Yay! Most freezer meals will last at least three months in the freezer, so I like to spend an hour or two on the weekend stocking our freezer for busy weeknights. Then all I have to do is quickly thaw in the morning, dump into the crockpot, and dinner is done. My ALDI freezer meal plans have been very popular, so I thought it would be helpful to highlight them together in one place. Enjoy, Friends! 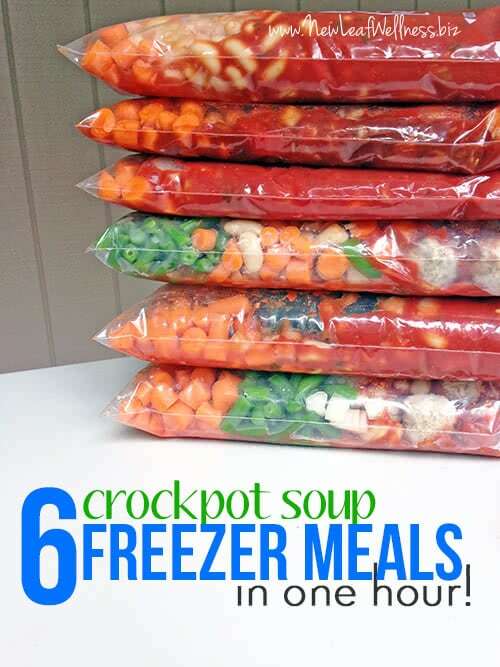 6 Budget-Friendly Crockpot Freezer Meals in One Hour ($26.40 or only $4.40/meal!) – This freezer meal plan includes recipes for white chicken chili, ham and potato soup, and hamburger vegetable soup. To save time and money, you double each recipe and make two of each. These are the most budget-friendly meals that I’ve ever made. 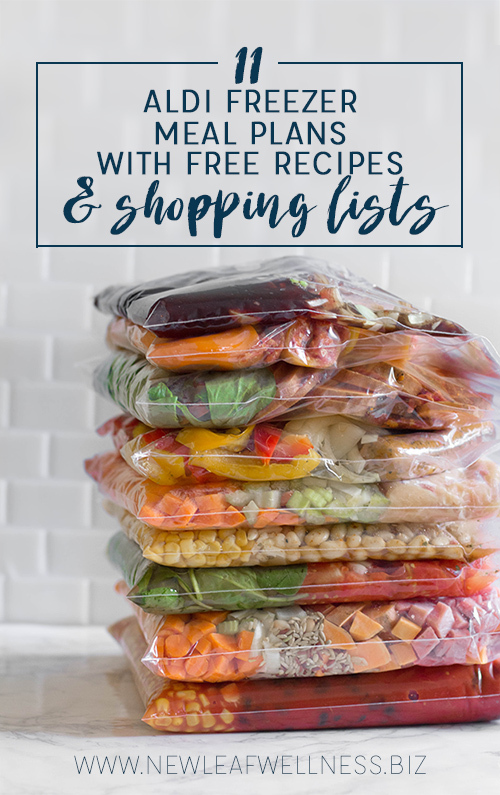 9 Gluten-Free Crockpot Freezer Meals in 90 Minutes ($85 or $9.44/meal) – This freezer meal plan includes recipes for white chicken chili, strawberry balsamic chicken, zuppa toscana with sweet potatoes, chicken sausage and peppers (also great in the oven), ham and sweet potato soup, Italian chicken with baby spinach, beef and black bean chili, sausage-stuffed mini peppers (crockpot or oven), and chicken and rice soup. The groceries for this plan are more expensive because they include a lot of organic ingredients. 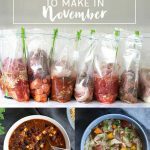 6 Crockpot Freezer Meals in 40 Minutes ($44.42 or $7.40/meal) – This freezer meal plan includes recipes for cranberry chicken, Italian chicken, and tomato veggie beef soup. To save time and money, you double each recipe and make two of each. These recipes were super easy and delicious. 24 Crockpot Freezer Meals in 2-3 Hours from Mrs. 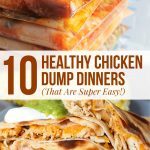 Happy Hatter (about $200 or $8.33/meal) – This freezer meal plan includes recipes for orange chicken, teriyaki chicken, chicken tacos, Indian chicken, chicken fajitas, OMG best crock pot chicken, BBQ chicken, rustic chicken stew, honey garlic chicken & veggies, crockpot chicken dinner, chicken burrito bowls, and mango salsa chicken. You make each recipe twice. She bought the chicken in bulk from Zycon, but I’m sure you could buy it at ALDI instead. 6 Crockpot Freezer Meals in 50 Minutes ($30 or $5/meal) -This freezer meal plan includes recipes for shredded BBQ chicken, beef lime chili, and Mexican chicken chili with cornbread topping. (We love all three of these recipes.) To save time and money, you double each recipe and make two of each. 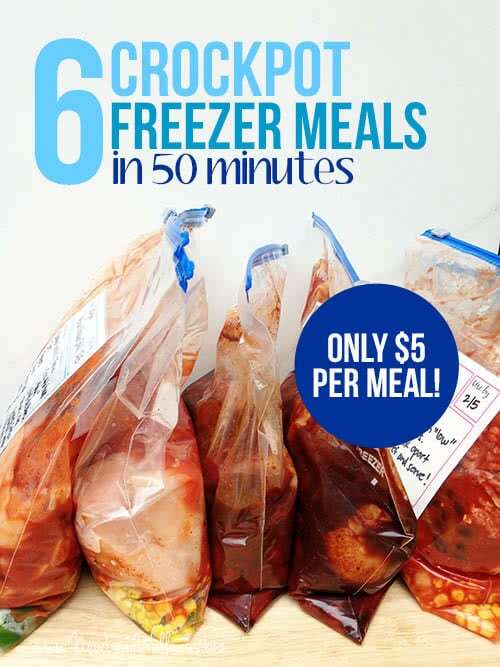 8 Freezer Meals from Queen of Free ($50 or $6.25/meal) – This freezer meal plan includes recipes for turkey black bean chili, Italian lasagna, pizza soup, pizza lasagna, chicken salsa soup, chicken pesto soup, chicken enchilada lasagna, and BBQ chicken hashbrown pie. Some of these meals require cooking before freezing, but I like the casserole options in addition to crockpot. 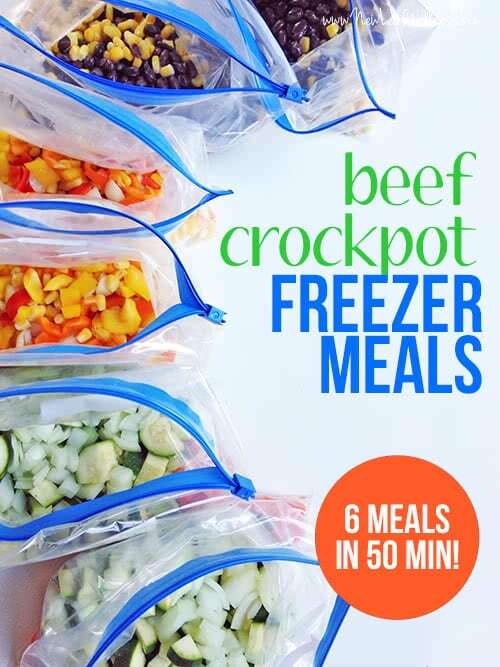 6 Ground Beef Crockpot Freezer Meals in 50 Minutes ($56 or $9.33/meal) – This freezer meal plan includes recipes for beef vegetable soup, Mexican beef chili with cornbread topping, and beef black bean chili. To save time and money, you double each recipe and make two of each. These are the best recipes to make when ground beef is on sale. They are so yummy. 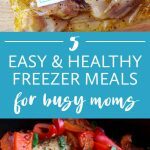 12 Meals in 2 Hours from Graceful Little Honey Bee ($50 or $4.17/meal) – This freezer meal plan includes recipes for chicken taco soup, chicken teriyaki chicken, BBQ chicken and veggies, creamy baked pasta, and chili mac casserole. A mix of vegetarian recipes and frozen chicken breasts are used to save money. Each recipe is made 2-4 times. 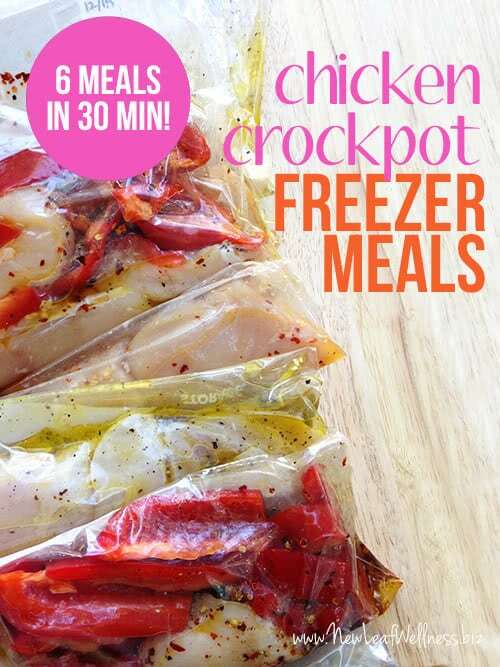 6 Chicken Crockpot Freezer Meals in 30 Minutes ($20 or $3.33/meal) – This freezer meal plan includes recipes for red pepper chicken, orange-ginger chicken, and lemon pepper chicken. To save time and money, you double each recipe and make two of each. These recipes are super healthy and don’t include any processed foods. 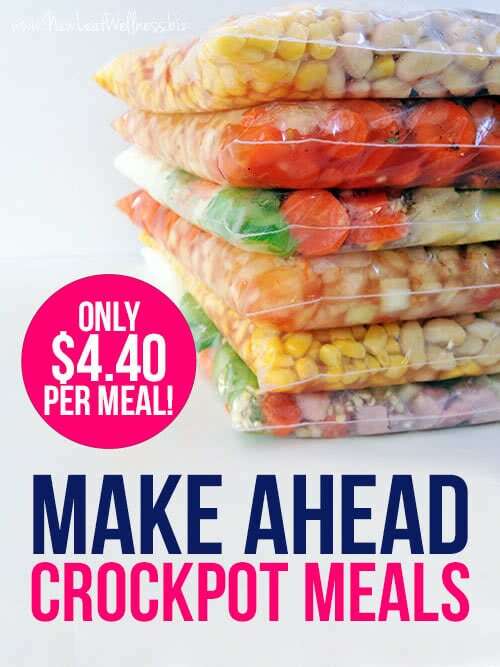 10 Meals in 30 Minutes from Passion for Savings ($60 or $6/meal) – This freezer meal plan includes recipes for chicken teriyaki, chicken cacciatore, honey BBQ chicken sandwiches, Mexican chicken chili, and chicken tacos (You make two meals of each). If you join her free email list, you get the list of recipes, grocery list, recipe cards, and bag labels for free. 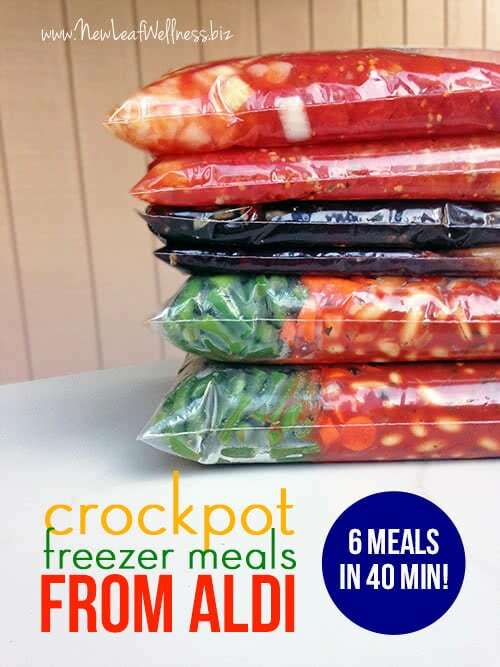 6 Crockpot Soup Freezer Meals in One Hour ($46 or $7.67/meal) – This freezer meal plan includes recipes for sausage spinach tomato soup, meatball veggie soup, and chicken soup with Mexican seasonings. To save time and money, you double each recipe and make two of each. I made these and peeled more carrots than ever before, but it was worth it because the soups were delicious. I love that you are willing to give free recipes, but I can’t click on a link for the 11 Aldi freezer meals. What am I doing wrong? I can’t seem to link to the Aldi Meal recipes. Am I missing something? Hi! Ummm, where do we click to find the 11 Aldi crockpot recipes? I think something’s missing?? Each prep session has it’s own printable recipes/shopping list pdf. Where are the free recipes? 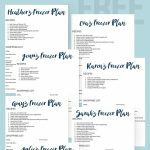 Each freezer meal plan has a free printable recipe/shopping list doc. Click on the name of the plan/post that you want and download it there. Does that help? So there is no list of eleven recipes from Aldi. We click on one of the other choices. Is that correct? They are 11 separate freezer meal plans.